The American Nurses Association, the National League for Nursing, and the American Association of Colleges of Nursing support and endorse lifelong learning and continuing education for nurses, and many state boards of nursing require continuing-education hours.15-17 The National Advisory Council on Nurse Education and Practice and the American Organization of Nurse Executives encourage nurses to obtain a BSN degree and suggest that the profession of nursing should strive for a workforce consisting of at least two-thirds of BSN-prepared nurses by 2010.18,19 This level of preparation hasn't yet been achieved. Nurses are uniquely positioned to serve as partners with other care professionals to improve and redesign care delivery across a wide continuum of healthcare settings. In order to provide quality care that's patient-centered, accessible, evidence-based, and sustainable, nurses must demonstrate a willingness to transition to advanced nursing roles through advanced education. Going back to school can be an intimidating idea for many nurses, especially if they haven't been in the educational setting for a while. Practicing nurses may be ambivalent about pursuing a higher degree-although they feel that going back to school will help advance their careers, getting through nursing school the first time was difficult enough. Now, they have professional obligations and personal factors to consider. Researchers suggest that nurses need to be encouraged to return to school and assisted in their return.9 Understanding their attitudes and perceptions can help determine ways to foster positive feelings about education and returning to school. Understanding these issues can help nursing employers and nurse educators overcome the barriers that prevent higher education and lifelong learning, and develop ways to engage RNs in the educational system. One of the most important things that nurses returning to school can do is review their educational options and decide which program is appropriate for them. 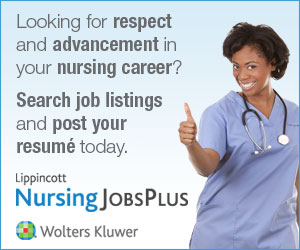 There are more than 650 RN-to-BSN nursing programs in the United States. Hundreds of these programs are offered either partially or completely online, making enrollment options more flexible than traditional brick and mortar classroom instruction. This type of nursing program builds on the fundamental skills gained in ADN and diploma programs. Today, RN-to-MSN programs are growing in popularity, with more than 150 programs in the United States. Baccalaureate and graduate coursework are included in these programs, as well as research components. BSN-to-PhD programs already exist and future programs will include the ability to move from the RN to a doctoral degree. Nurses who haven't been in school for a while may find today's educational technology daunting. Computer skills are essential for success in traditional, hybrid, and online nursing programs, and in professional practice.23 With the advent of electronic health records, computerized documentation systems, and advanced devices for bedside care, nurses will face a plethora of technologic advances that require them to seek further training. One study suggests that nursing students rate themselves higher on their computer skills than their actual ability to perform these skills.23 This type of information helps nurse educators and practicing nurses who plan to return to school better understand the need to continually inventory and update their computer skills. Some important skills that nurses can hone before returning to school include word processing, building spreadsheets and databases, and Internet skills, including the ability to use e-mail.23 Nursing students pursuing advanced degrees are often required to write and format papers, use computer or virtual simulation in learning, and use library databases and search engines. Nursing students may be asked to participate in online discussions that are synchronous and asynchronous, use and develop videos, participate in webcast classes, and submit assignments electronically. Because not all nursing students demonstrate the same ability to perform computer skills, researchers suggest that nursing educators assess competencies upon admission to the program and provide educational opportunities to develop necessary skills.23 Taking related computer courses can help nurses improve these essential skills and gain new expertise. Another essential aspect of a nurse's professional development with advanced degrees is the ability to produce written papers. Many nursing students aren't well versed in the use of the American Psychological Association's (APA) formatting for written assignments. This style is most commonly used to cite sources within the social sciences. These skills are critical in constructing papers with specific margins, pagination, citations, and references. Nurses can improve their ability to create high-level manuscripts by reviewing the APA manual and utilizing online programs that assist in its use, such as The Owl by Purdue University. Lifelong learning will continue to be a critical element in the nursing profession as interprofessional practice unfolds in healthcare and as the role of the nurse changes to meet the needs of the nation in primary care and preventive services. Nurses need to embrace these changes, and the complexity and dynamics of patient care, by becoming engaged in educational pursuits to provide the highest quality care. In this manner, nurses can help revolutionize healthcare. By understanding the issues and concerns surrounding continuing education, making the commitment to advance nursing knowledge and skills, and by doing their homework, nurses will be able to make well-informed choices about their future endeavors. 2. Aiken LH, Sochalski J, Lake ET. Studying outcomes of organizational change in health services. Med Care. 1997;35(11 suppl):NS6-NS18. 3. Clarke SP, Aiken LH. Failure to rescue: needless deaths are prime examples of the need for more nurses at the bedside. Am J Nurs. 2003;103:42-47. 4. Curtin LL. An integrated analysis of nurse staffing and related variables: effects on patient outcomes. http://www.nursingworld.org/MainMenuCategories/ANAMarketplace/ANAPeriodicals/OJI. 5. Estabrooks CA, Midodzi WK, Cummings GG, Ricker KL, Giovannetti P. The impact of hospital nursing characteristics on 30-day mortality. Nurs Res. 2005;54(2):74-84. 6. Friese CR, Lake ET, Aiken LH, Silber JH, Sochalski J. Hospital nurse practice environments and outcomes for surgical oncology patients. Health Serv Res. 2008;43(4):1145-1163. 7. Needleman J, Buerhaus P, Mattke S, Stewart M, Zelevinsky K. Nurse-staffing levels and the quality of care in hospitals. N Engl J Med. 2002;346(22):1715-1722. 11. Gillies DA, Pettengill M. Retention of continuing education participants. J Contin Educ Nurs. 1993;24(1):17-22. 16. National League for Nursing. Position statement: innovation in nursing education: a call for reform. http://www.nln.org/aboutnln/positionstatements/archived-statements.htm. 25. Benjamin R, Ostrow L. Technology in nursing education. Int J Hum Caring. 2008;12(2):57-64.